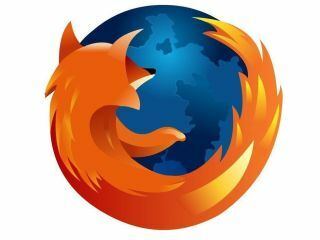 A set of slides has been published that suggest the eagerly anticipated Firefox 4 from Mozilla could be making a beta arrival in June, with a final release in November. , Mozilla is keen that the next version of Firefox can ensure that it builds on its strong second place to the waning Internet Explorer. Firefox 4 will represent a major overhaul of the browser; a step change by Mozilla in response to rival browsers' improvements. The slides, which appeared on Mozilla's Mike Beltzner's blog, indicate some of the improvements, as well as an early timeline – which could of course be subject to change. "Please understand that these plans are fluid and are likely to change," blogs Beltzner - who is director of Firefox at Mozilla. "As with past releases, we use dates to set targets for milestones, and then we work together to track to those targets. "We always judge each milestone release against our basic criteria of quality, performance, and usability, and we only ship when it's ready." Mozilla indicates that Firefox 4 will be 'super-duper' fast, support the next generation HTML5, bring touchscreen and 64-bit support, offer a completely revamped user interface, hot swappable add ins, better stability and 'empower' users to take control of their data and web experience. Of course, many of those improvements are to be expected from any major browser release. Speed remains a key factor as the browser is asked to do increasingly complex operations, and support for HTML5 represents the next great wave of internet standards. But all eyes will be on the overhaul of the UI and the way in which Firefox empowers its users – something that has been the bedrock of its success in the past.